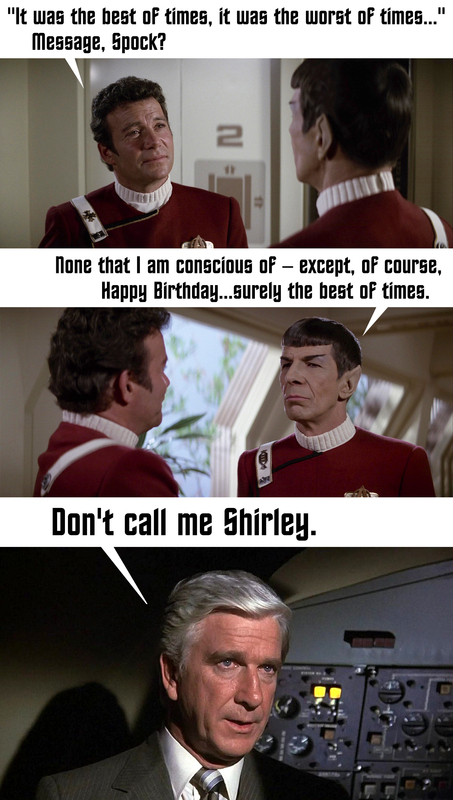 HAPPY BIRTHDAY to me…and to FAN FILM FACTOR! 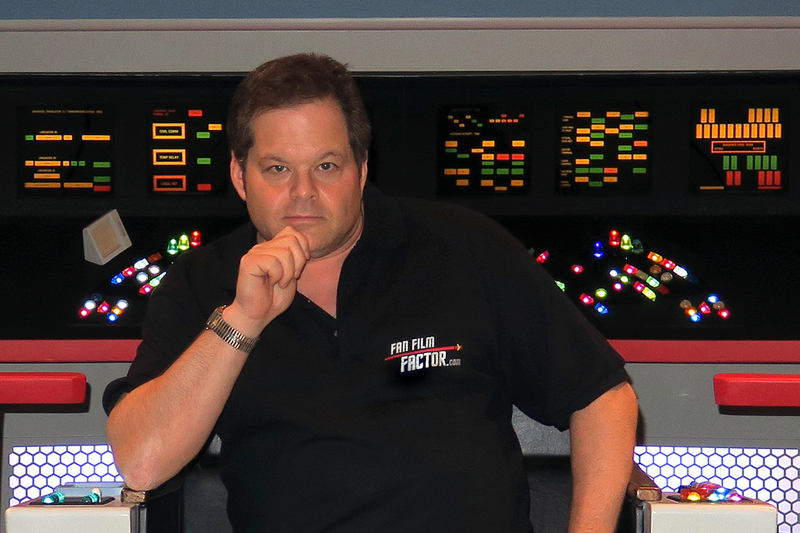 Today I turn 51 years old…and FAN FILM FACTOR just turned two. This blog doesn’t have an official birthday, but my earliest posts are dated January 10, 2016. It’s two years later, and in that time, I’ve published 465 blog entries!!! Holy shat! Although some of my blogs are just 200-400 words, others get well over a 1,000 or even 2,000 words. (If they reach 3,000 words, it’s time to split them into Part 1 and Part 2!) So assuming I average a little over a thousand words per blog, that means I’ve probably written nearly a HALF MILLION WORDS in two years…mainly about fan films! About 15 months ago, I added Google Ads to the site to help generate some revenue. Since then, my ads have earned me a whopping $529.65…or about a tenth of a penny per word. If you check online, most freelance writing assignments pay about 10 cents a word (maybe a bit higher for more high profile work). So I’m making 1/100 of what a gainfully employed freelance writer makes! And yet I still do this. Why? Author Jonathan LanePosted on January 17, 2018 Categories Personal StoriesTags Fan Film Factor, Jonathan Lane26 Comments on HAPPY BIRTHDAY to me…and to FAN FILM FACTOR! This past Monday evening, STAR TREK CONTINUES show-runner VIC MIGNOGNA posted a very special video onto the STC Facebook page. Principal photography was completed last February on the final STC episode, “To Boldly Go.” Shortly thereafter, Vic walked the corridors of the amazing TOS sets on a rainy day in Kingsland, GA, filming himself using a selfie stick as he discussed his feelings about wrapping up the series after nearly six years. In the background, you can see how the sets are laid out in the warehouse, what some of the Enterprise “walls” look like from the other side, and how close everything was from the edges of the soundstage itself. They certainly filled that space. 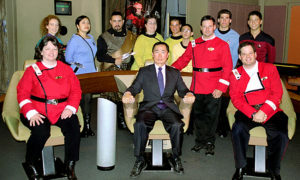 The video shows a quiet and thoughtful moment for Vic, similar to one I experienced several years ago during my final visit to the Star Trek: TNG sets on display at the Hollywood Entertainment Museum. 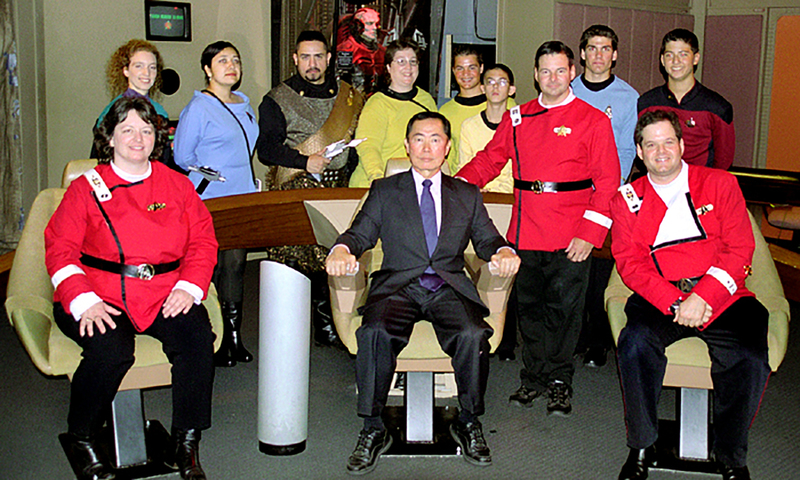 For several years, I and friends from a local Trek fan club used to give docent tours in uniform once a month before the museum closed its doors forever. While I can’t completely equate that experience to Vic’s in terms of time commitment and dedication, I still understand a little of how he felt when he made this video. Everyone else was gone (or so it appears on Vic’s video), and it was a final chance to take in everything this project had meant to him personally for those many years. Like Vic, I also did my final “set walk” alone. I stayed there for about 45 minutes in silence (the museum was now closed to the public and we’d been helping get props organized and stowed—I was the last one there). I sat in Picard’s chair, walked around Worf’s station, stood in the transporter, and took one last look at all the humorous details Mike Okuda had hidden in Geordi’s engineering cutaway of the Enterprise-D: Nomad, an airplane, the rubber duck. And for no reason whatsoever, I gave one final tour…to no one. I went through every part of the docent speech my friends and I used to give for the tourists, as I’d long ago memorized every line. It was just a special moment with the sets…one last time. 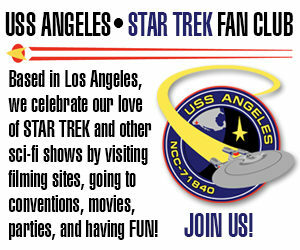 FAN FILM FACTOR gets 100K visits last month! From the bottom of my heart, I just wanted to take a quick moment to thank everyone who comes to read this blog…whether you’re one of my “regulars” or you just visit every so often or even if you’ve never been here before. It means more to me than you can know. Last month, for the first time ever, the total visits to this blog site ticked up over 100,000! Now, I realize that’s probably just a temporary blip, as the previous two months were closer to 25K (although the month before that was at 85K—it’s a crazy place this Internet!). And I also understand that some of that traffic is likely web crawling Internet “bots” hitting my blog site for search engine purposes. But hey, that doesn’t much matter. I’m just excited that, after nearly two years of writing Fan Film blogs for this site, people are still coming to read them!!! And quite a few people, at that! My daily web traffic is between a few hundred and a few thousand. And that translates into ad dollars that sometimes get as high as $1 or $2 a day! Yeah, I’m not really doing it for the money, folks. It’s actually quite a bit of work. I research, write up, and edit (you only see the typos I don’t catch). 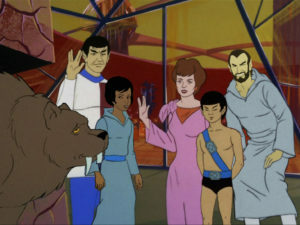 I reach out to fan film producers to conduct interviews, try to keep track of the latest goings on in the Trek fan film community, hunt down little-known Trek fan productions from years ago to write about, and look for active crowd-funding campaigns….and all of this while trying to stay just a few days (or maybe a week if I’m lucky) ahead of publishing deadlines. I don’t want this blog site to get stale if I can help it! Author Jonathan LanePosted on November 13, 2017 Categories News, Personal StoriesTags Fan Film Factor, Jonathan Lane9 Comments on FAN FILM FACTOR gets 100K visits last month! The great thing about doing my own blog is that I get to decide what I write about. And even though my focus is usually Star Trek fan films, today I’m going to indulge with a different kind of fan project: my son JAYDEN. He turns seven years old today, and I promised him that I’d feature him on my blog today. 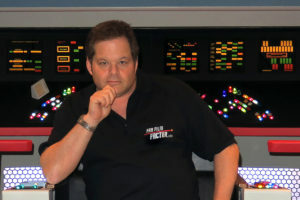 Some of you have already seen me talk about him in blog comments or viewed him in videos like this one I did just before Axanar Productions moved out of Industry Studios. I’ve been doing my part to raise Jayden as a proper Trekkie (as I hope the photo on the left demonstrates). 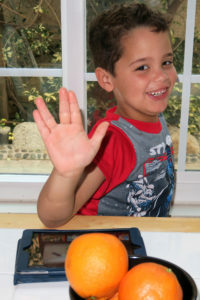 Jayden has already been a special guest on his first-ever Star Trek podcast interview, and he enthusiastically watches TOS episodes with me each night while I exercise. Today, I’d like to share two special fan films with you. In this case, it’s me being a fan of my son Jayden. 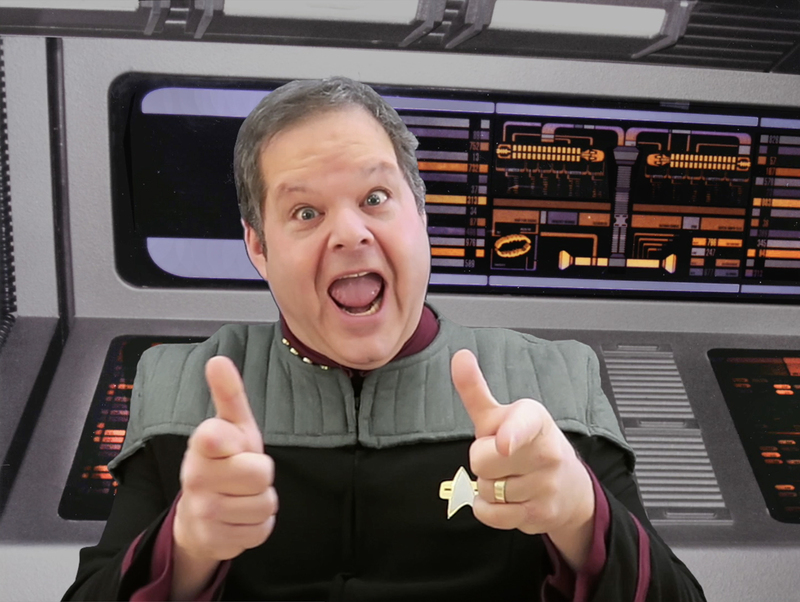 And if you think that’s too sappy or inappropriate for a Star Trek fan film site, then come back on Friday instead for SEVEN new Trek fan films! And finally, here’s a video that’s been seven years in the making and will probably go for at least another seven or ten years…or whenever Jayden finally decides that enough is enough (or when I finally run out of song). 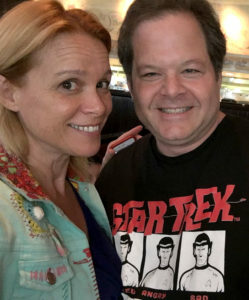 And yes, that’s the theme to Buck Rogers in the 25th Century, a very singable song called “Suspension” sung by Kipp Lennon and written by the awesome STU PHILLIPS (who also composed themes for the original Battlestar Galactica, Airwolf, and Knight Rider). Author Jonathan LanePosted on July 31, 2017 Categories Personal StoriesTags Amanda, Family, Sarek, Spock, Star Trek Discovery, Vulcan20 Comments on SPOCK’S ever-growing family! And it’s not like there’s any money in this, folks. Maybe by the end of the year I’ll take in a few hundred dollars off of Google ads…if I’m lucky. I pay nearly that much just for web hosting and online security! 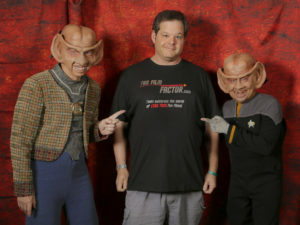 Anyone wanna buy a FAN FILM FACTOR T-SHIRT??? It’s okay if you didn’t notice—no one did—for months! The button has been up there since late February, I think. Initially, I never even intended to sell FAN FILM FACTOR T-Shirts. But an amusing series of events led to the creation of an FFF online store. Wanna hear a funny story? Author Jonathan LanePosted on June 27, 2017 Categories News, Personal StoriesTags Fan Film Factor, online store, T-shirts12 Comments on Anyone wanna buy a FAN FILM FACTOR T-SHIRT?? ?